The Moto Z Play impressed us last year for many reasons, and much of that had to do with its striking balance of a well-rounded feature set and affordable price point. Rather than waiting a full year for a proper refresh cycle, Motorola decided to take the wraps off the device’s successor, the Moto Z2 Play, just a few weeks ago. We’ve spent a short amount of time with the device so far, and we’re excited to share with you our first look at Motorola’s latest mid-ranger. 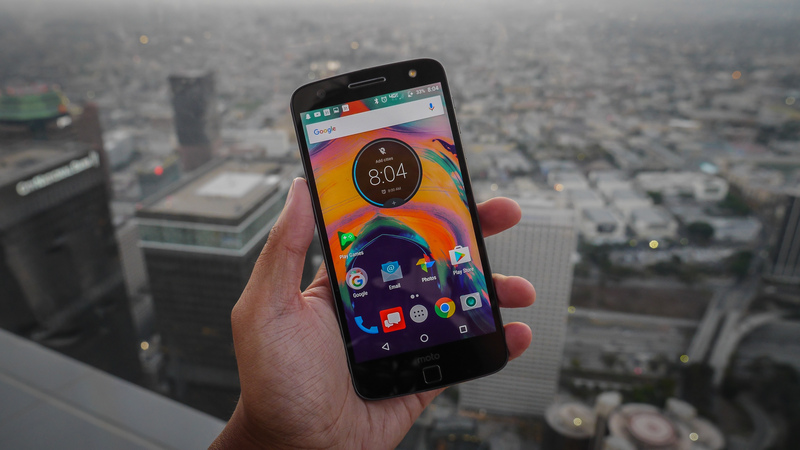 The design of the Moto Z2 Play is more akin to a flagship of sorts – mainly because of its ultra-slim chassis and sturdy aluminum unibody frame. It feels substantially better than last year’s model. 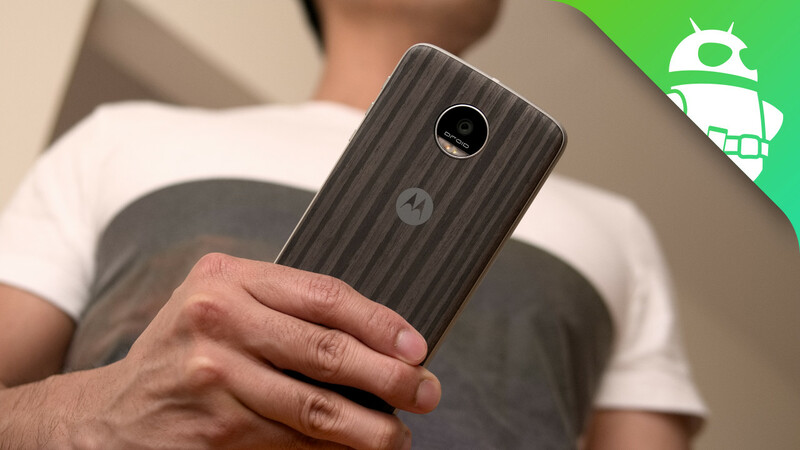 However, since the device is designed with Moto Mods in mind, it doesn’t stray too far from the familiar design language we’ve seen countless times from other Motorola phones. Still, the Z2 Play looks like it was meticulously crafted and can easily stand toe-to-toe with other flagship designs out there. One reason why last year’s Moto Z Play was able to somewhat outshine its higher-end siblings was because it featured a 3.5 mm headphone jack. And you know what? It’s back again, even though it now sports a thinner body than its predecessor. Another notable design change here with the Moto Z2 Play is found with its fingerprint sensor, which is now more oval in shape and recessed. Beyond that, the phone has access to the slew of Moto Mods that have been released – turning it into a portable projector, music boombox, versatile long-zoom camera, and much more! If you remember, last year’s model offered exceptional battery life thanks to its 3,510 mAh cell. The Moto Z2 Play’s skinnier chassis means the company needed to make some sacrifices in terms of battery capacity, with the Z2 Play now sporting a much smaller 3,000 mAh unit. Who knows how this is going to impact the phone’s longevity, but if that’s a concern, the quick solution that’s available here is to pick up the new Turbopower Pack Moto Mod, which snaps onto the back of the phone and features an equally spacious 3,490 mAh battery. And if you prefer wireless charging, there’s a Moto Mod for that too – so the options are endless here. The 5.5-inch 1080p AMOLED display won’t raise too many eyebrows, but we’re happy to report that it does feature some eye-catching qualities so far. Details are sharp, colors are vibrant, and viewing angles maintain solid clarity. The only question we have is how it’ll perform under the scrutiny of the sun when it’s outdoors. Under the hood lies a Qualcomm Snapdragon 626 processor with 3 GB of RAM, which enables it to respond with a fair amount of finesse. Out of the box, it should suffice for most consumers when it comes to the usual processes, but it’s questionable when it comes to gaming performance – since chips of this caliber don’t produce the same fluid performances seen in other flagships. As far as cameras are concerned, the Z2 Play sports a 12-megapixel dual-autofocus pixel rear camera with an f/1.7 aperture lens, laser autofocus, phase detection auto focus, CCT dual-LED flash, and up to 4K video recording. Meanwhile, the front-facing camera stands in at 5 megapixels and features a wide-angle f/2.2 lens and a CCT dual-LED flash. Stay tuned for our full review, which will arrive in the next couple weeks!